In this enchanting compendium of Love, David Leviathan charts the moving portrait of a relationship. 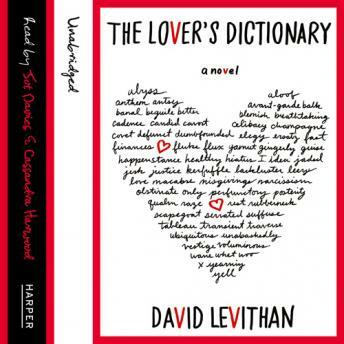 ...David's words fit together to create a beautiful and compelling story, encapsulating all aspects of a relationship and giving a name to the everyday struggles they entail. Through these short entries, he provides an intimate window into the great events and quotidian trifles of being within a couple, giving us an indelible and deeply moving portrait of love in our time. It was Joanna who noticed it first. We were over at her house for dinner, and she said something about being able to see the woman across the street doing yoga in the mornings, and how strange it looked when you were watching it from afar. 'So how is Miss Torso doing?' you asked. People often say that when couples are married for a long time, they start to look alike. I don't believe that. But I do believe their sentences start to look alike.